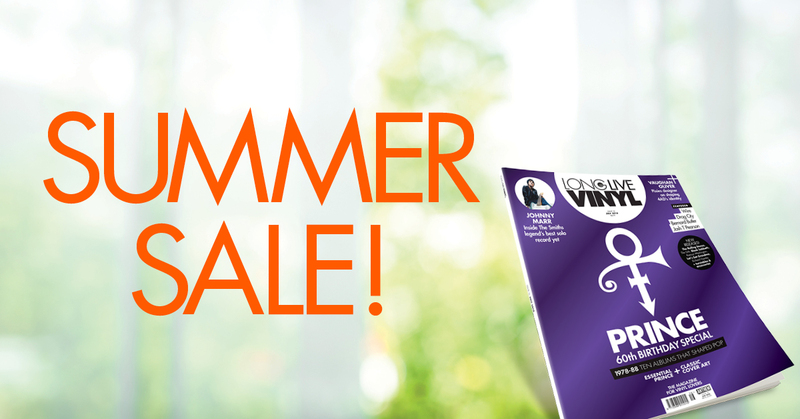 Try 3 issues of Long Live Vinyl magazine for just £3 (UK) in our sizzling summer sale. That’s a huge 85% saving off the cover price! A trial subscription is a great way to try out a subscription without the commitment – you can continue to subscribe paying by Direct Debit (UK) or Continuous Credit Card (overseas) or cancel if a subscription is not for you. If you subscribe you will enjoy the magazine being delivered direct to your door every month with delivery included in the price. Brilliant! *Savings are available to UK Direct Debit and overseas Continuous Credit Card orders only. After your first 3 trial issues, your subscription will continue at the listed price every 3 issues thereafter, saving 25% off the shop price (15% for Australia). Payments will be every 3 months. Your subscription will start with the next available issue. If you wish to cancel your subscription, you may do so at any time. We publish 12 issues of Long Live Vinyl per year. The summer season is finally upon us and what better way to enjoy relaxing in the sunshine than with your favourite magazine? *Direct Debit or Continuous Credit card only. After the 3 issue trial, the price will increase so that you will save 25% off the cover price (15% for Australia), paying by DD or CCC every 3 issues, unless you cancel. Subscribe and take advantage of this summery offer! Get the Long Live Vinyl app! We also have a fantastic app where you can download the latest issue of Long Live Vinyl or subscribe to the digital edition. Go to your App store and search for Long Live Vinyl or go to Pocketmags to order now!